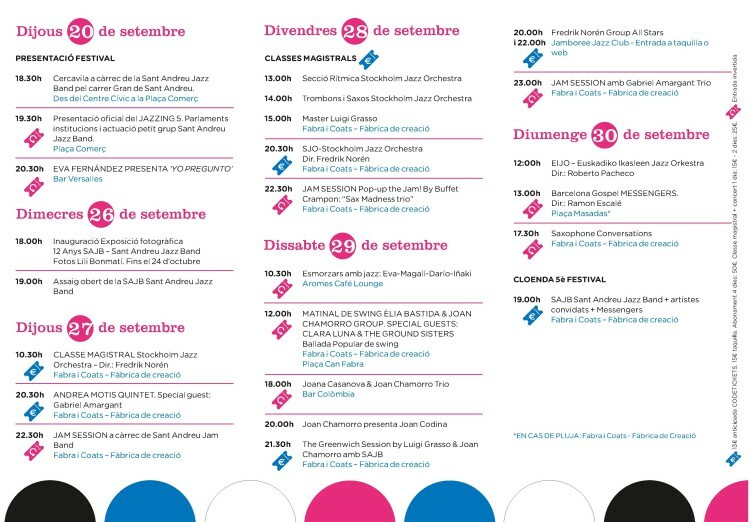 5th JAZZING – FESTIVAL DE JAZZ DE SANT ANDREU 27 to 30 setember 2018. CONCERT ANDREA MOTIS QUINTET. Special Guest Gabriel AmargantCLICK HERE TO BUY! CONCERT SJO-Stockholm Jazz Orchestra Dir. Fredrik Norén CLICK HERE TO BUY! 29 set. 2018 | 14:00h – Price: 10€ CLICK HERE TO BUY! CONCERT DOBLE: CLICK HERE TO BUY! 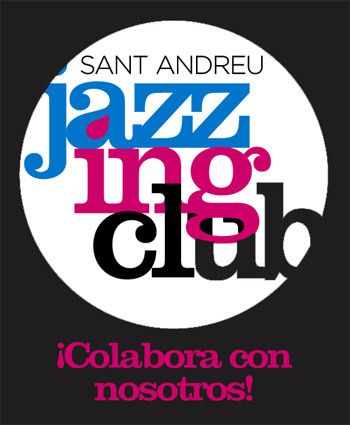 TICKET 2 MASTERS TO CHOOSE + CONCERT ANDREA MOTIS QUINTET Price: 25€ CLICK HERE TO BUY! TICKET 1 MASTER TO CHOOSE + CONCERT SJO-Stockholm Jazz Orchestra Price: 15€ CLICK HERE TO BUY! TICKET 2 MASTERS + CONCERT SJO-Stockholm Jazz Orchestra Price: 25€ CLICK HERE TO BUY!